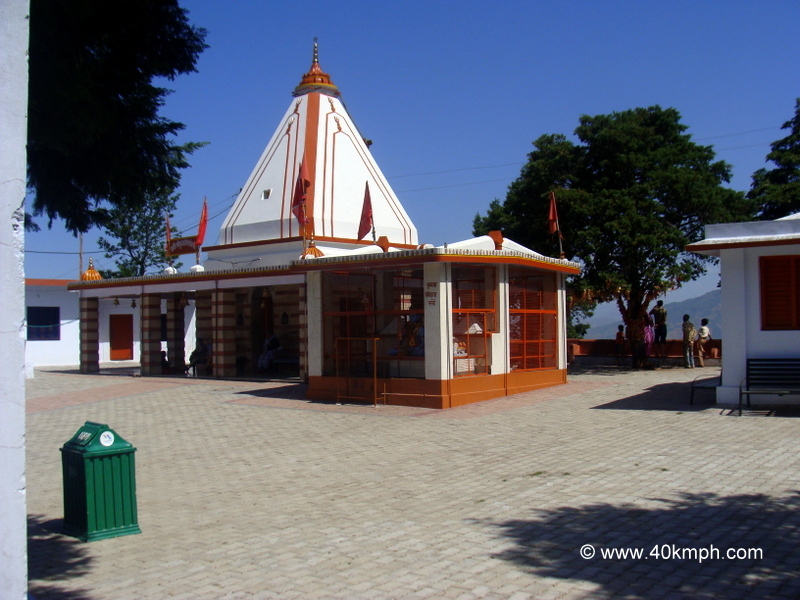 Kunjapuri Devi temple is situated at Narendra Nagar in Tehri Garhwal district of Uttarakhand. Out of 51 Shaktipeeth of Goddess Sati within Uttarakhand, Kunjapuri Devi is one of the Shaktipeeth. This is the location where Goddess breast is fallen. In Sanskrit language breast is called ‘Kuchcha’ i.e., why temple is named as Kuchcha Devi Mandir. Locals call it – Kunjapuri Devi. When Devtaas won the battle with demons they decided to declare one leader among themselves. Daksha was selected unanimously but one person – Lord Shiva was not happy. Because Daksha is angry by nature Lord Shiva said – Vishnu should be the best choice but in the end Daksha was declared the leader. This created difference between Daksha and Lord Shiva. Daksha once performed Yagya and invited all devtaas. Lord Shiva was not invited. As Sati was the daughter of Daksha and wife of Lord Shiva she got to know about the said Yagya wishes to visit but Lord Shiva was not willing to visit as he was not invited. Sati said – to visit father’s house one shouldn’t need any invitation. And she visited Yagya site. As there was no seating arrangement for Lord Shiva she argued with father about the same. Daksh said your husband is not the right person to be invited. Sati felt insulted and jumped into the pyre. When Lord Shiva heard about her death he became furious. He sent Veerbhadra to the place where Daksha was performing Yagya. Veerbhadra destroyed the Yagya location and killed Daksha. After this Lord Shiva was very upset. He carries Sati body in his arms roaming all over the world. Lord Vishnu felt that this will cause destruction of the world very soon. He sent Sudarshan Chakra to cut the body into pieces. Various body parts were then fell at different different locations on earth and one such location is Kuchcha Devi also known as Kunja Devi Mandir. During Navratri there is huge devotees rush at this location. The temple is situated on top of hill which is picturesque. One should visit if visiting Rishikesh.